Did you know the Spring Equinox marked the start of the annual cycle for Europeans until the 18th Century? The Northern Hemisphere has now celebrated March 20th. So, it would seem the time to attain any caregiving New Year’s Intentions (not Resolutions) has passed. Right? Not so fast. We are, after all, barely three months into 2019. However, we’ve already experienced about 12 weeks. Enough time has passed to reflect. Please take out your Being/Doing Intentions along with Key Lessons from last year. What insights crop up? How are you? Please record in a journal or elsewhere 10 Eldercare Accomplishments spanning January through March. Did I just say ten? Too much? Then make it 20! My point is to FIRST acknowledge your wins/successes. ONLY after giving yourself a pat on the back are you ‘permitted’ to notice changes to be made. Perhaps certain Intentions ask to be altered or dropped. You don’t need to hang onto what you set forth if it’s not working. Maybe you have even achieved certain items and are good-to-go on those. Personally, I like to revisit my aims at least quarterly – if not even monthly. This is a missing step that causes Resolutions to fail. Gung-ho in January. Abandoned by April. Instead, now is the perfect opportunity to tap into spring’s energy. Nature is progressively returning underground winter life to bountiful greens. 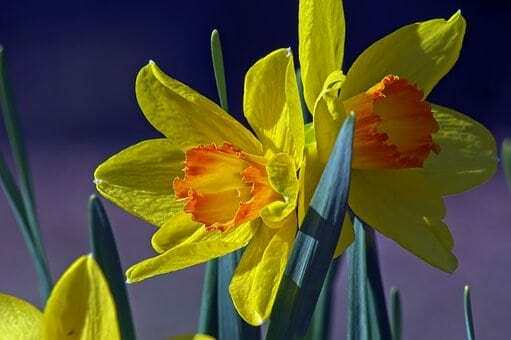 Early-bloomers like daffodils and crocuses poke up their heads. Temperatures warm and encourage all of us to breathe plus move outdoors. What is this season all about but rebirth and renewal? How about we borrow a chapter from our land-based ancestors’ book to ground our commitments in fresh earth? This sub-section has two meanings. One is to leave you with the message that Intentions are a living document to be accessed and nurtured throughout the year. I urge you to not let them languish on a dusty shelf. This is a key strategy to avoid a main Resolutions pitfall. The second is that it is never too late to make shifts in your caregiving world. The eldercare marathon is just that – a journey. The fact that you may not be mastering everything you set forth a couple of months ago is no reason to throw in the towel. In fact, during our next several weeks, we will examine whether it is too late to have a ‘perfect’ childhood. Please tune into my next Conscious Caregiver radio broadcast March 27th on “Caregiving as a Healing Opportunity” at www.boldbravemedia.com/shows.